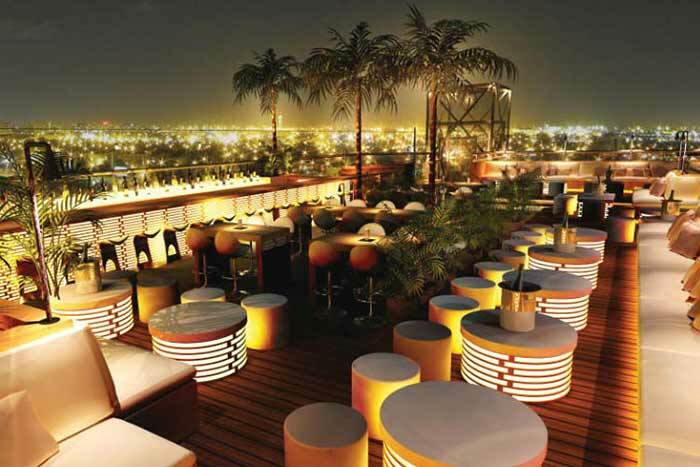 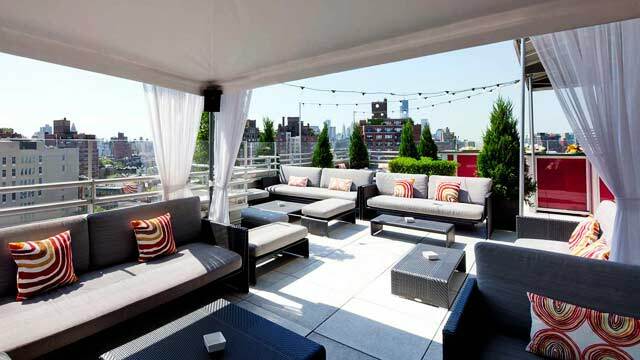 Located at the roof of Gansevoort Meatpacking NYC, you find a chic lounge / cocktail bar called Plunge Rooftop Bar & Lounge. 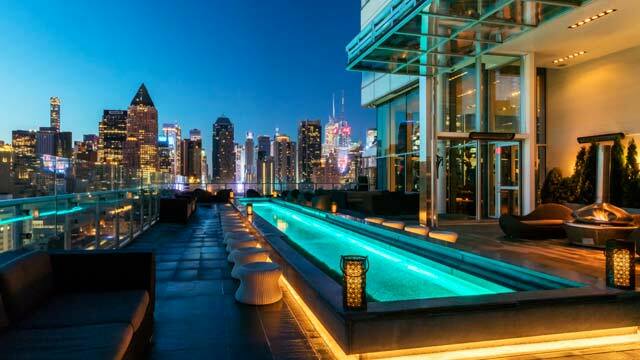 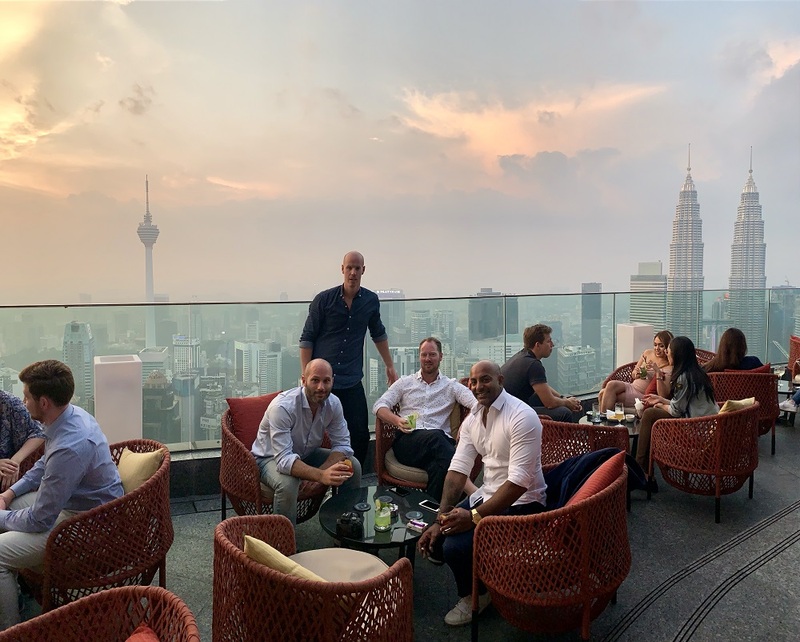 With a stylish setting, a flowing layout of several indoor and outdoor spaces and magnificent views over Manhattan and Hudson River, this is really one of the top NYC rooftop bars. 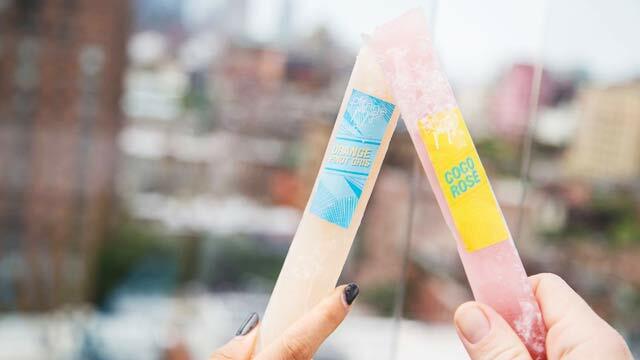 The Gansevoort rooftop bar offers a really nice menu, with a large set of well made cocktails and their own 'Plunge Pops', which are ice-popsicles that comes in flavours like 'Fruity Sangria' and 'Coco Rosé'. 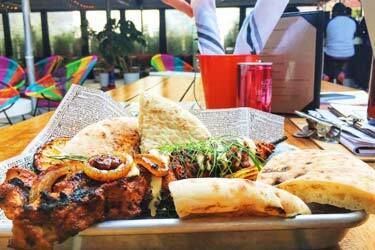 For the hungry ones there is both a good selection of tasty bar bites and a few main courses, like classic burger and salmon. 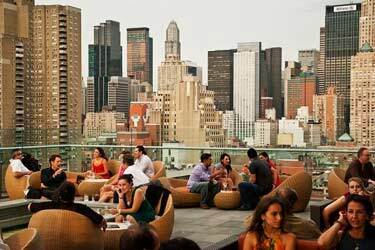 Plunge NYC is a great Meatpacking-destination for some relaxing cocktails early evening, with a happy hour every weekday between 5-7pm and a chill ambience, you can really kick back and take in the feel of New York. 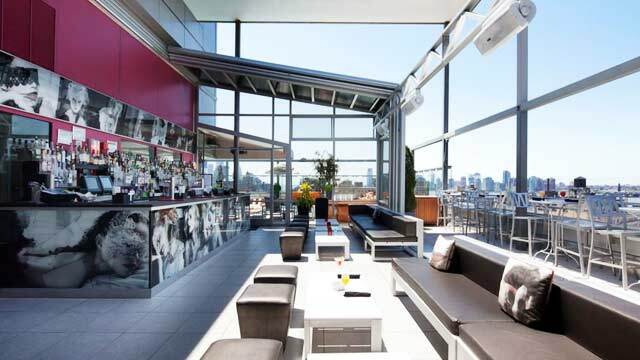 Later on at night (especially weekends) you can expect alot more people, maybe a line to get in, top DJs and a rooftop party atmosphere that is one of the best in the city. 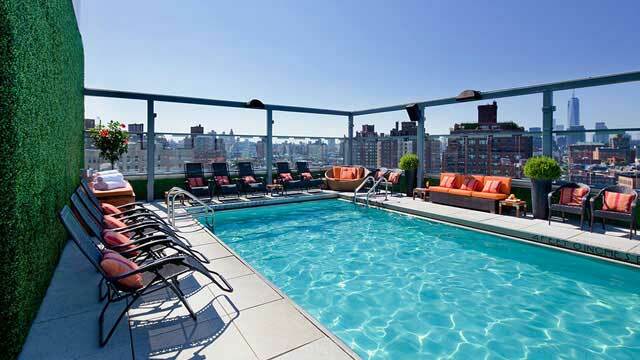 The rooftop at Gansevoort Meatpacking also boosts with a heated rooftop pool, which is one of the best the city has to offer. 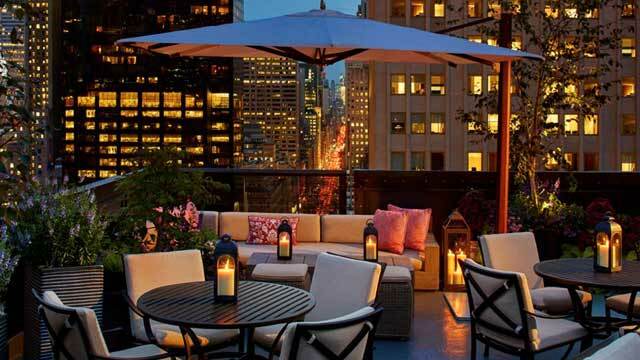 This one is however only open to guests at the hotel. 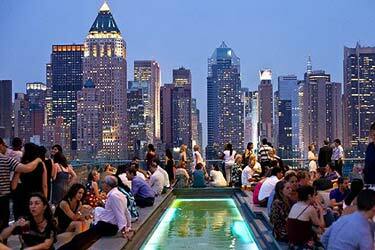 So book your stay here to swim with some great NYC views, or just settle for a cocktail with the same views. 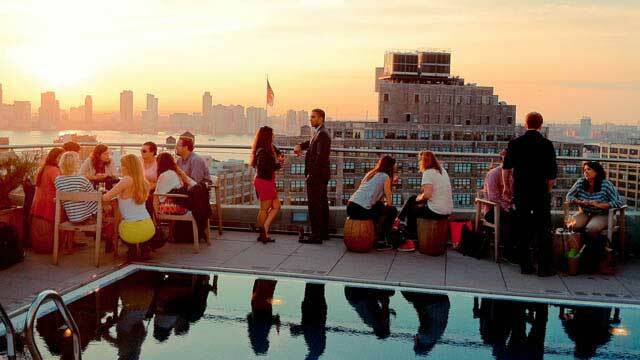 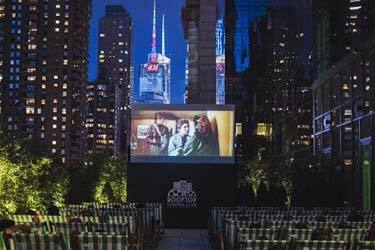 Read more about when The Rooftop Guide hade some afternoon cocktails among the magical view of Manhattans skyline at Gansevoort Meatpacking in 2016. 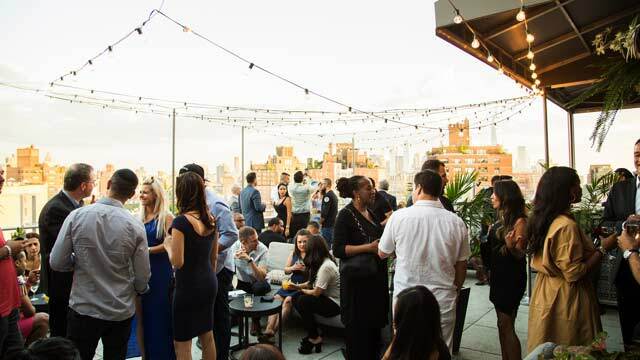 Read more about the fantastic parties at Gansevoort Meatpacking and the list of the best party spots on rooftops in NYC. 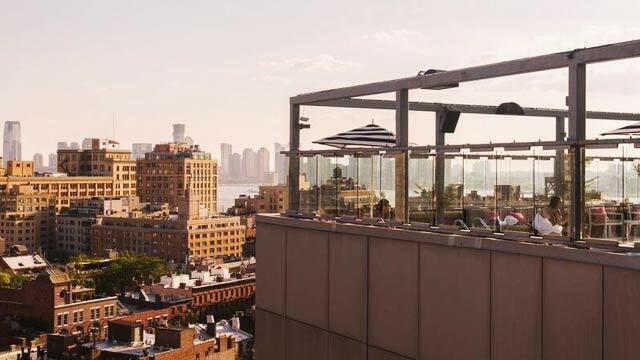 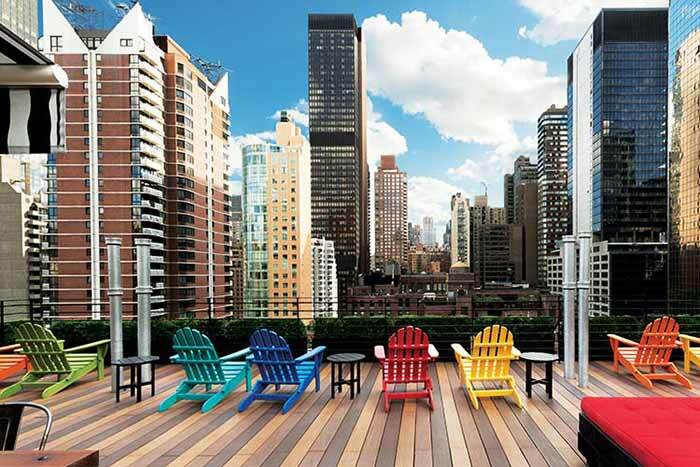 Read more about Gansevoort Meatpacking in the article about the best skybars and sky lounges in New York.